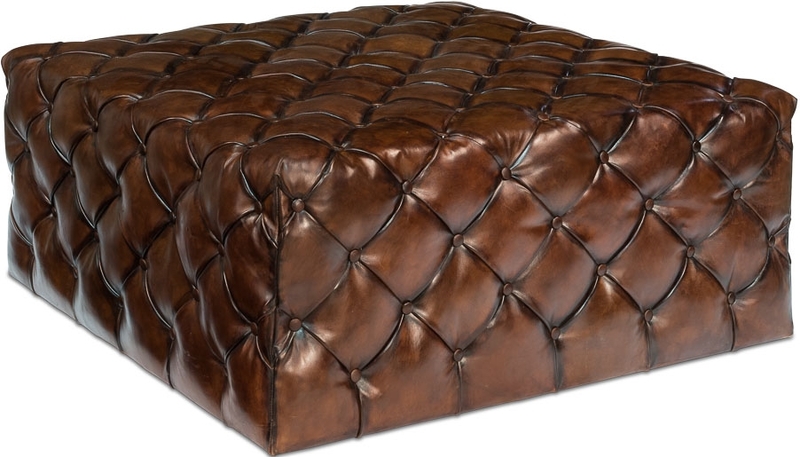 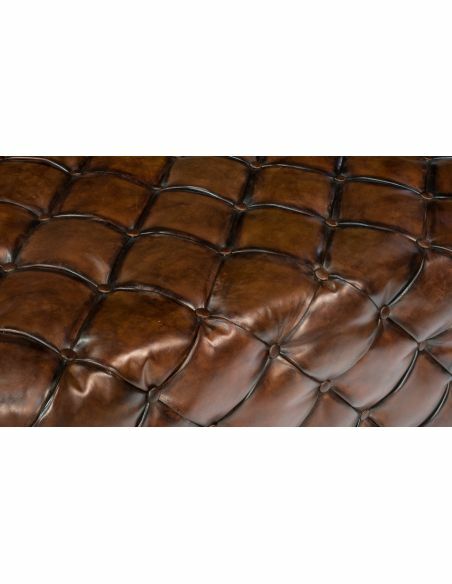 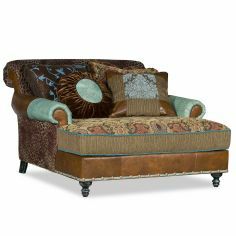 The Large Tufted Leather English Ottoman makes a chic addition to a contemporary living space. 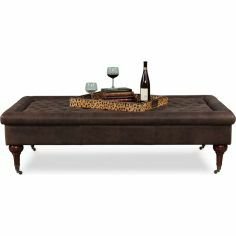 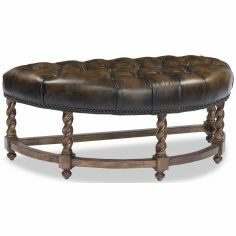 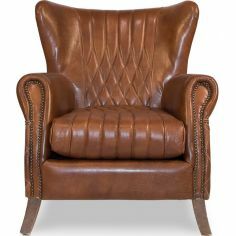 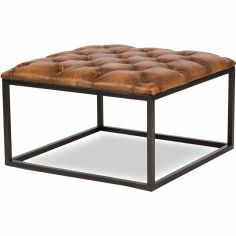 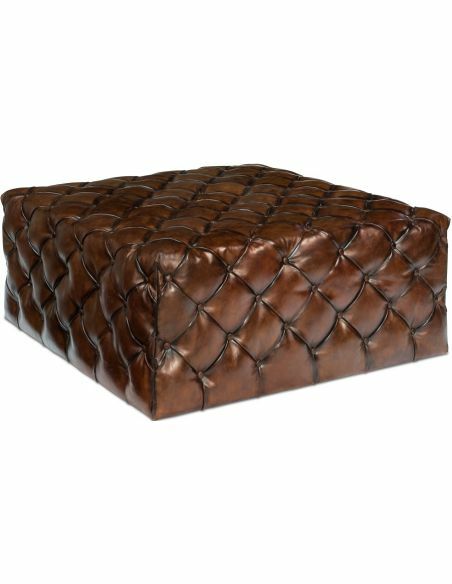 Featuring solid wood framework and vintage brown tufted leather upholstery, this square shaped ottoman exudes class and style together. 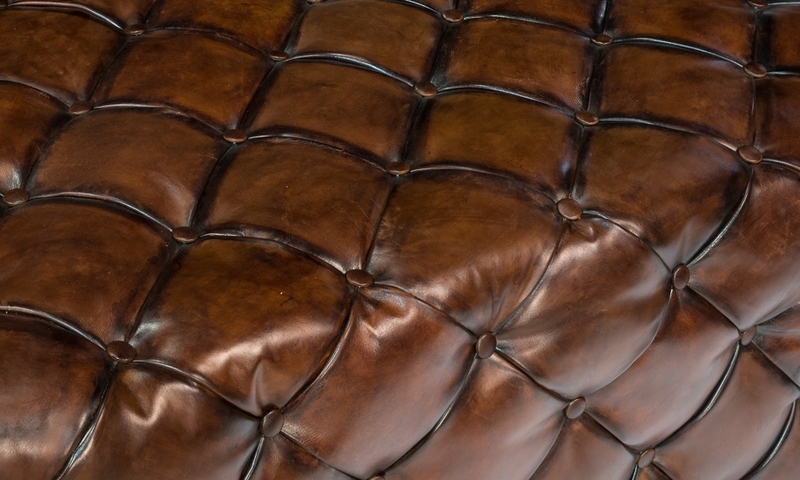 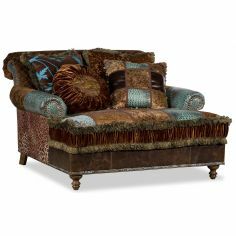 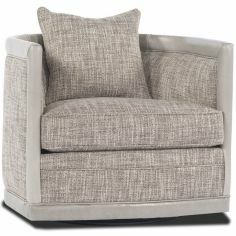 The button tufts are arranged deliberately to create a proportional diagonal setting to add visual appeal to this furniture piece.